It seems you may be one of the lead engineers at xray as well. Hardly. The car is released, the influences are obvious if you look at it up close. They also did a lot of different things... lots of innovation. 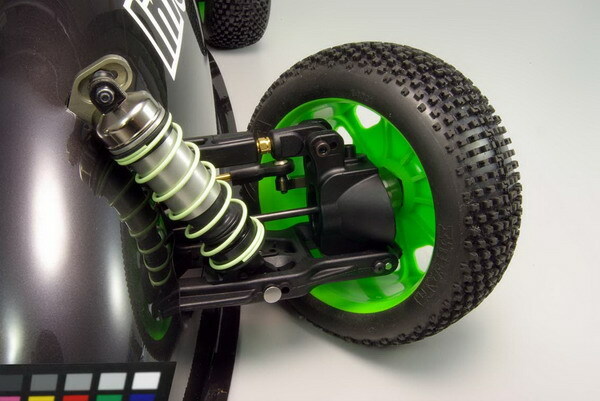 Anything on the new Kyosho however is mere speculation. The XB8 borrowed quite a lot from the inferno too. Perhaps this is somewhat of a trend? Imitation is the sincerest form of flattery, right? There is a lot of "borrowing" of ideas in the industry. Agree. So far we do know that they are transitioning those big bores and keeping the c-hub design as someone hinted somwhere on the first page. The drive shafts are comparable to what you can get as a hop-up for the WC. New thinner and ligter universals. To run BB Shocks on the MP777 you must swap the front universals for those new ones that are incorporated in the MP9. My LHS' website says due for release late July.......fingers crossed! Location: MP9 is here ...stay tune ! anyone know what this shell is ? Could be one of a few things: a helicopter shell perhaps? I find the Kyosho is the most underrated car out by most since it doesn't have anything radical about it. Thing is, it just works. I like this quote and I think it will hold pretty true with the MP9. I have seen a few more photos now. Still nothing with the body off. But I have seen the body, which looks really good and is lowered quite significantly on the car. The engine is moved significantly forward and towards the centerline. All in all it looks great. It's definitely not a copy of any car out there. Just minor changes (but changes nevertheless) throughout the entire car to improve it and make it work "Better". Also heard that its about 250 or so grams lighter than the 777sp2wc. I would look for photos to crop up this weekend from the Kyosho Masters. Maybe we'll get to see some body off shots?? I also think this car is going to come with a lot of the goodies that everyone's always harping on. Should be a very solidly engineered machine!! Can't wait to start tearing up the track and competition with the MP9!!! I wonder if it will still have the crappy cast knuckles.